i love leather. 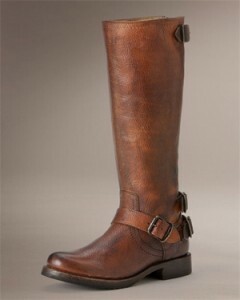 it’s so durable and rugged and classy and edgy and badass. since i was going on about Saddleback Leather in my post before this one, i’ve been in a leather frame of mind and i decided to continue with the whole leather theme and show you some of the items i’m currently lusting after. 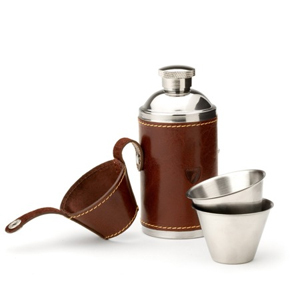 it’s a beautiful little 6oz stainless steel flask with two wee stainless cups all wrapped up in a tidy leather cover. i LOVE this, and it would be the perfect mobile vessel with which to portion out that bottle of Bushmills 21 year old Single Malt that i have patiently waiting for me back at my apartment in florida. these flasks also come in black and croc, but i like the smooth cognac/espresso suede version the best. i just love the richness of the colour. i like everything about this jacket, up to and including the black-to-dark-red ombre and the elongated sleeve zips (they go all the way to the upper arm). one of the more unique features of Muubaa jackets, in general, is that they have little bendable wires throughout so you can customise the look and make it look a bit more rumpled, or broken-in. 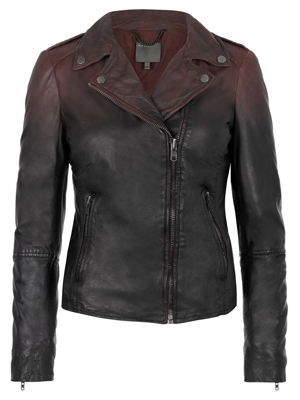 i’m not usually a fan of asymmetrical lines, but biker jackets are an exception… especially this biker jacket. 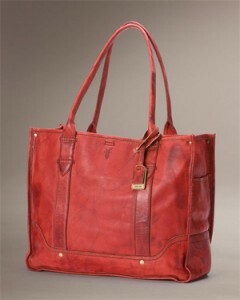 i totally need another leather bag, and this one is perfect for carrying everything i need to carry around with me. i’ve had a [not so] secret love affair with The Frye Company for quite some time, but this bag is relatively new on that list. This entry was posted in fashion, groovy, leather, leather wish list, luxury, shoes, the world's greatest and tagged Aspinal of London, Campus Shopper, Hunter Leather Flask, Muubaa, Salazar Leather Ombre Jacket, The Frye Company, Veronica Back Zip Boots. Bookmark the permalink. it’s a motorcycle-STYLE, fashion-weight leather jacket. it’s not the best choice for actual riding, and the wires run along the seam lines and wouldn’t make good heating elements even if you could modify them… but it’s beautiful.